The costs of running a Head Start Program aren’t always visible for those on the outside looking in, but having the ability to lower supply costs can be a big help for administrators who need to find new ways to work within the Head Start Program budget. Being able to reduce administrative costs can really help when it comes to reducing the overall annual budget. Most administrative and janitorial supply costs are relatively fixed, rarely varying from month-to-month as much as food or manufacturing supplies and costs might be. That makes it even easier to lower supply costs without having to cut out the things that are required to effectively run the program. The best place to start when working to reduce administrative costs is to take a look at your overall spending habits, suppliers, costs for supplies, inventory and track record of wasting supplies by over-purchasing. Sounds like a lot of work, doesn’t it? The best way to take a hard look at your Head Start Program budget is to work with a third-party service that will provide you with a cost analysis that you can use to identify the problems associated with your office supply purchasing power and help you to lower supply costs across the board. SupplySource Plus offers a FREE cost analysis service to human services programs like Head Start to help them run more effectively and efficiently. While there are some documents, especially for Head Start administrators, that must still be filled out, filed, submitted and kept on actual, physical paper, a lot of the work that is done can be done digitally on the computer as a way to reduce administrative costs. Not only will this help you to lower copy paper supply expenses, but it will also eliminate the need to have staff members spend time sorting, filing and finding files within the office. For paper receipts, contracts, purchase orders and other important papers, you can use a scanner to digitize all of these items for record-keeping to save time, cost and space in your office. SupplySource Plus can help you with a one-time purchase of a high-quality scanner that you can use in this manner to reduce lower supply costs. One of the greatest advantages to working with SupplySource Plus is our ability to boost your office supply purchasing power. Forget about driving to the local office supply store, warehouse or big box store for your supplies, with SupplySource Plus you can create an automated purchase order that will order supplies that are needed on a weekly, monthly or quarterly basis, or any other period of time that you specify. This can lower supply costs by allowing you to buy in bulk, get pre-negotiated prices through our list of over 2,000 pre-vetted vendors and reduce administrative costs overall. There are two schools of thought on providing maintenance services for your office equipment. One, is to hire an employee or designate an employee who knows how to maintain your equipment to take care of it for you, saving you on outsourcing costs. The other is to work with a SupplySource Plus and use their network of pre-vetted vendors to find a service provider in your area at a price that you can afford. It is important to regularly maintain your equipment to prevent costly repairs or replacements down the road. So whichever method you decide to choose, make sure you are working with a person who is trained, qualified and experienced in working with your equipment. One way to reduce administrative costs is to keep better track of the things that you purchase. Ordering too many yellow legal pads or not enough rolls of toilet paper can ruin your budget. If you have more legal pads than you’ll need in a 3 year span, that means you’re over-budget for this year’s finances. If you don’t order enough rolls of toilet paper for the month, you might have to run out and buy emergency supplies at a premium cost. Consumables can sometimes be an invisible asset that companies often overlook. They are easy to leave behind, misplace, take home for personal use or throw away before they are no longer useful. 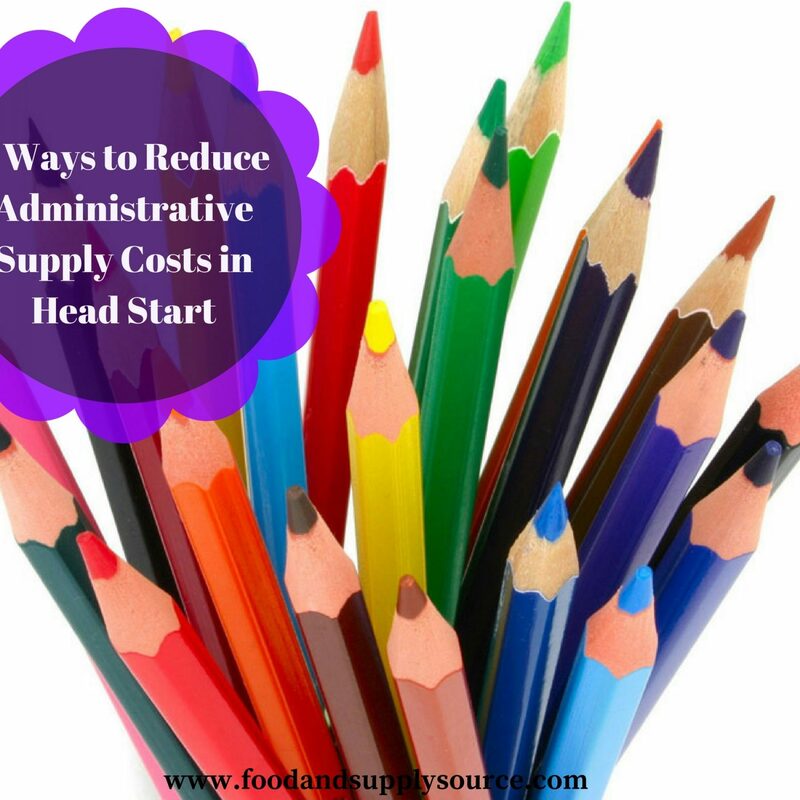 Staying on top of your inventory, general use and needs will help to lower supply costs from your Head Start Program budget. Another area where service programs can lose money is by not keeping track of the tools and equipment that they have invested in to help keep the program running. Small bits of equipment, such as calculators, office fans, telephones, answering machines and other essential, yet small tools in the grand scheme of things, have a way of disappearing. Tools that the janitorial staff uses, such as mops, buckets, brooms, dustbins and more, should also be kept track of to make sure they don’t walk away. Larger, more expensive equipment, such as copy machines, computers, monitors, scanners, radios or anything else that was purchased with the Head Start Program budget should be kept track of in a secure area and be available only through a designated employee who will stay on top of the inventory. Some big ticket items should be purchased, while others should be rented. It can be difficult to determine which would be at the most advantage to reduce administrative costs, but figuring out how, when and how often the item would be used can help. For example, if you need a shaded cover for an outdoor event, but you rarely host outdoor events, you might want to rent one from a party supply store. On the other hand, if you do things outdoors with children and parents on a regular basis, you would save money in the long run by investing. SupplySource Plus can help your Head Start Program budget by assisting in the purchase of big ticket, one-time purchase items, as well as hook you up with rental companies if you decide to go that route. Call SupplySource Plus today and find out more about how you can reduce administrative costs from your annual Head Start Program budget. Our team is ready to work with you and your staff to help lower supply costs and connect you with a network of pre-vetted vendors to boost your office supply purchasing power. This is a free service to human service organizations, such as Head Start, so what have you got to lose? Contact us today via our online contact form to get additional information or to schedule an appointment for your free cost analysis!